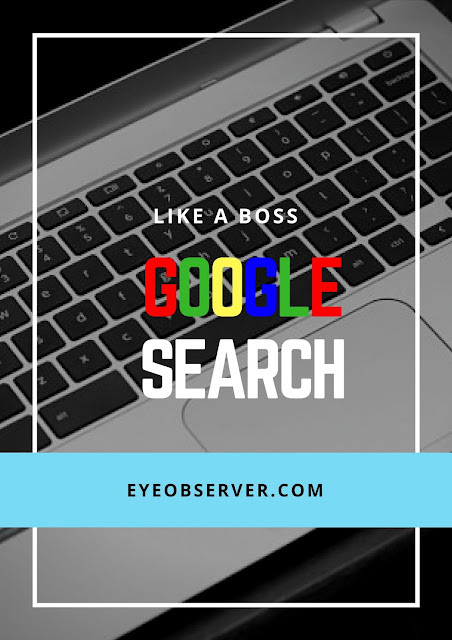 The Rolling Stones said that you can't always get what you want but when it comes to "googling", you can make your search results a lot more precise by using the proper Google Search Syntax. No matter what you're looking for on the Internet, these easy to remember tips will help you find what you're looking for! If you're searching for an exact word or phrase, use quotes. This is particularly useful when searching for acronyms or words that are spelled similarly to a more popular word as well as for song lyrics and quotes. To add multiple terms, remember the comma. What the search query above does is that it returns all the New York Times article about Donald Trump. Note that you don't need to include the "http://" and "www" from the URL. This query operator used to give the results of all pages with links to the given URL. Unfortunately, Google has stopped this feature and now only provides a small sample of the sites that link to the specified URL. You can still get a complete list of links to your website using Google Webmaster Tools. Google has improved significantly over the years and you could just use the search query (without quotes) "movies 1950 to 1970" and it would work fine as well. As with the earlier queries, not that there's no space between the colon and the search term. The tips above will help to make your search results more precise and make sure you find what you're looking for. If you find them hard to remember, you could use Google's Advanced Search interface, which will guide you along the way. 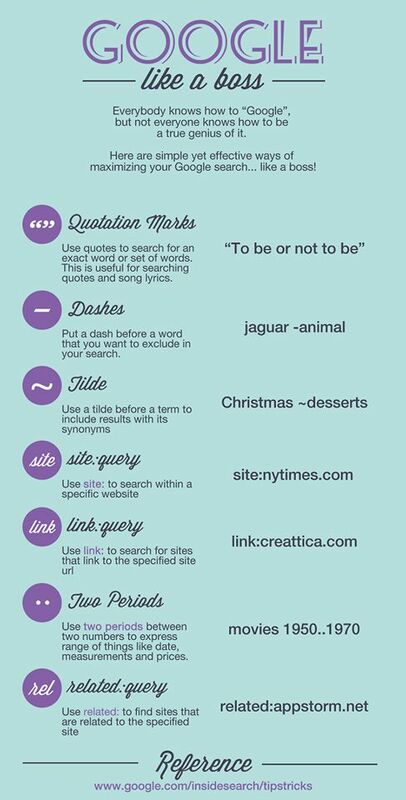 We'll leave you with this terrific infograph that lists some of the search syntax you should remember.